SACRAMENTO, Calif. /California Newswire/ — Calif. 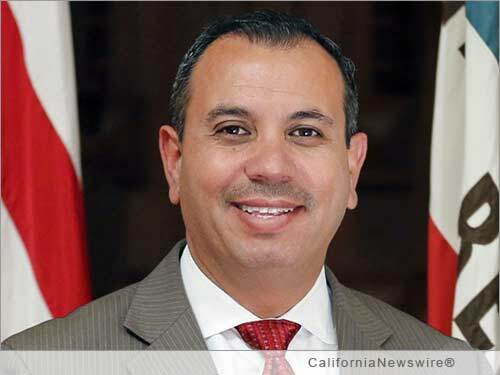 Senator Tony Mendoza (D-Artesia) today announced the passage of Senate Bill 45 (SB 45). The measure, which will ensure fairness in elections throughout California, passed the Senate Floor on the special consent calendar with bipartisan support and no opposition. SB 45 will increase governmental accountability and public trust by amending the Political Reform Act (PRA) to prevent a city, county, special district, or state elected official whose name appears on a ballot from using taxpayer money to send a mass mailing for 60 days preceding an election. SB 45 is now headed to Governor Jerry Brown’s desk for consideration of his signature. “Making sure that every candidate has a chance to win based on their abilities and skill is key to a fair election. By passing this bill through the Legislature, we move closer to preventing abuse of a public service. It is important to ensure a level playing field when it comes to equal access to constituents,” Senator Mendoza concluded.